Happy Bday "Love Fuelled Hate"
Feisty and fabulous electro-clash heroine Elle Exxe has unleashed her much-anticipated debut album "Love Fuelled Hate". You can buy a signed physical copy right here including an 8-page booklet with lyrics, credits and exclusive photographs. Today I dropped my brand new song "Queen". "It's a bolshy pop belter with one toe in electroclash and another in swaggering neo-soul. There's gallons of confidence in her vocals as she sings of love gone awry. 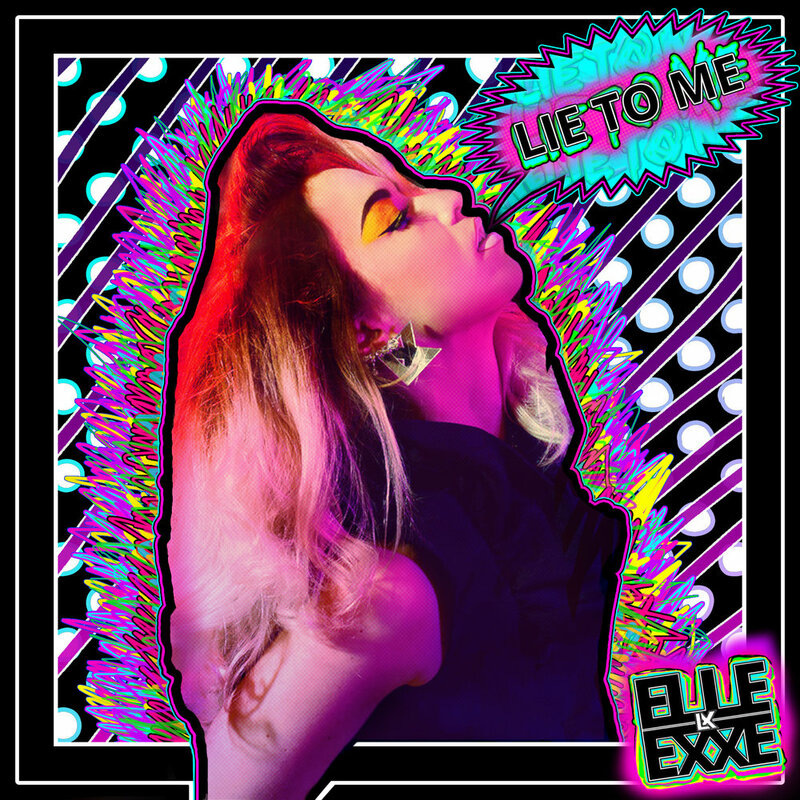 Replete with jerky synth stabs, calamitous basslines and beats that tumble, "Lie To Me" is a huge song that's ready for dancefloors, and one that won't wait to be to be given permission to enter your lives, but rather storm in and force you to move." I’m gonna stick with “Lie To Me” for a minute, it might have been the most loved single from the album so let me share the story with you. It’s a little-known fact that I was a featured vocalist in a band called Bleach Blood back in 2015. The band was formed and fronted by lead singer/guitarist Jamie Jazz (ex The King Blues). At the time I was involved all the recordings were done by Jamie’s friend Sam Eyes. Why am I telling you all this? Well, I wrote “Lie To Me” with Sam and Jamie. I reached out to them with my song “Lost in L.A.” and a Spotify Playlist of my influences at that point and asked them if they wanted to get involved and collaborate on a song together. It goes without saying, they were down for it and we all got in a studio together. This is the point where I should probably tell you what the inspiration behind the song was but I don’t believe in revealing song meanings, it can ruin any sincere relationship someone might have with the song..#sorrynotsorry. But..I can tell you a fun-fact: the song was originally titled “You Don’t Matter” but I decided to change it after received one too many emails with the subject-line “YOU DON’T MATTER” (not nice). I should really create a song titled "I love you so much", that'd make my inbox look a little more welcoming. The original single mix was done by Des Lambert but the album version was by Joe Kearns and features the original extended intro (this is the way the song was before it was released as a single). At the end of the album version you hear me walking and listening to "You Said You Loved Me" (an unreleased song I wrote with the lead producer of the album Ross O'Reilly) before breaking down the door of my ex's flat (sound design by Will Tonna).